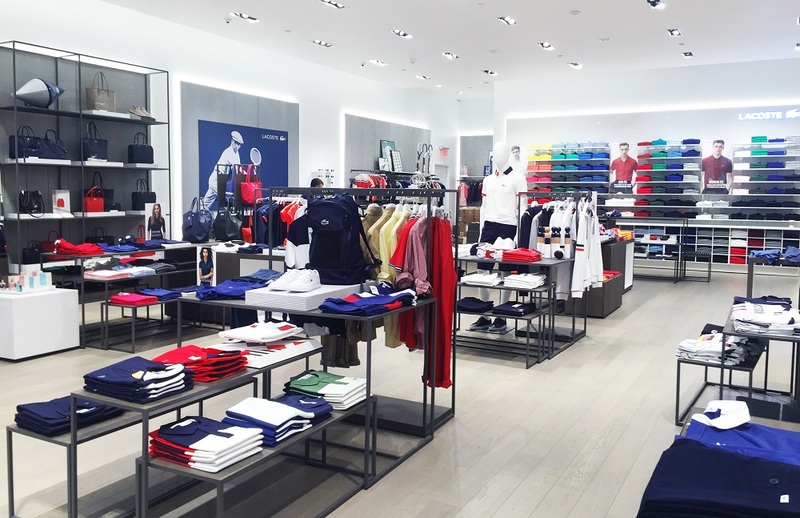 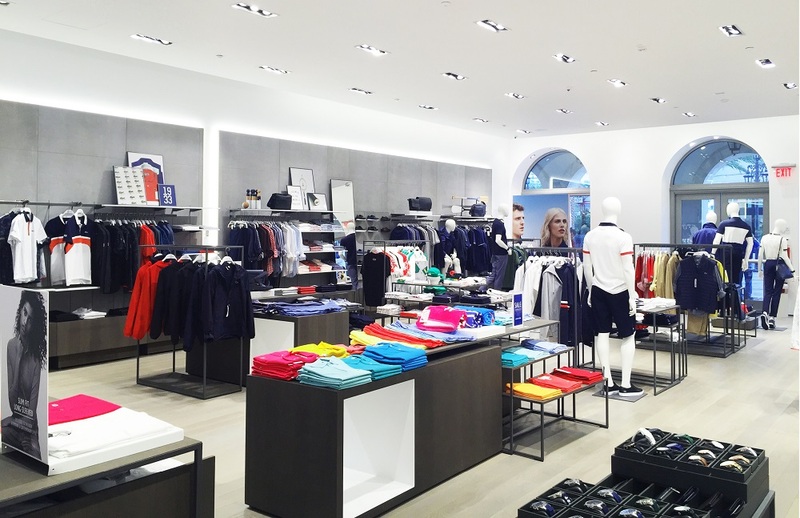 The Lacoste at Disney Springs location showcases a new design centered around a multi-colored polo shirt installation within a minimal interior accented by grey cement fiber boards on opposite, facing walls. 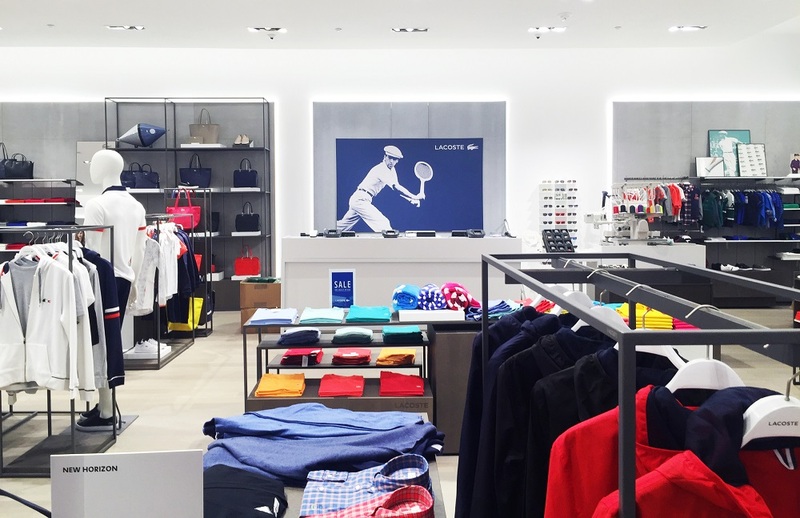 Metal racks along with wooden nesting tables, rectangular drawers and cubes display merchandise, while decorative props such as framed images, a set of skittles, tennis rackets and paddles pay homage to the sports legacy of the brand. 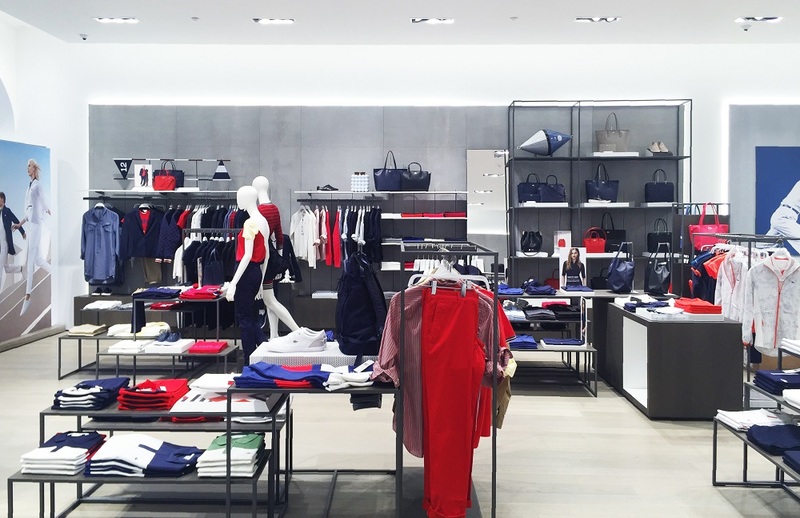 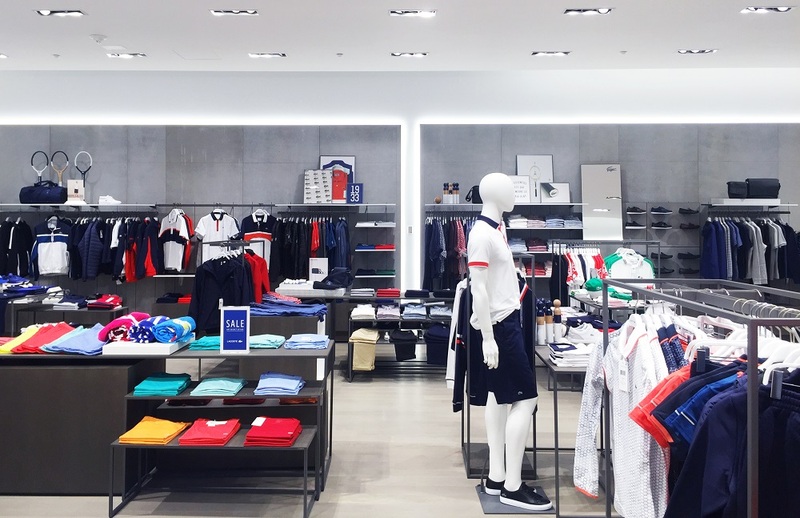 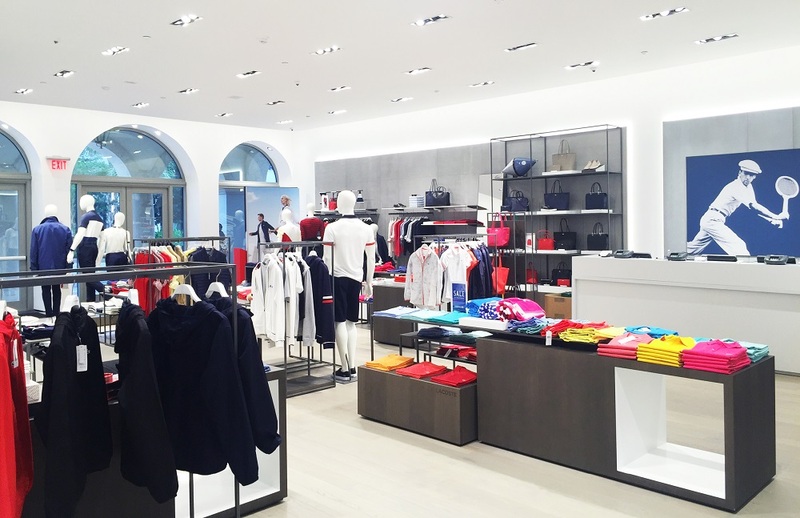 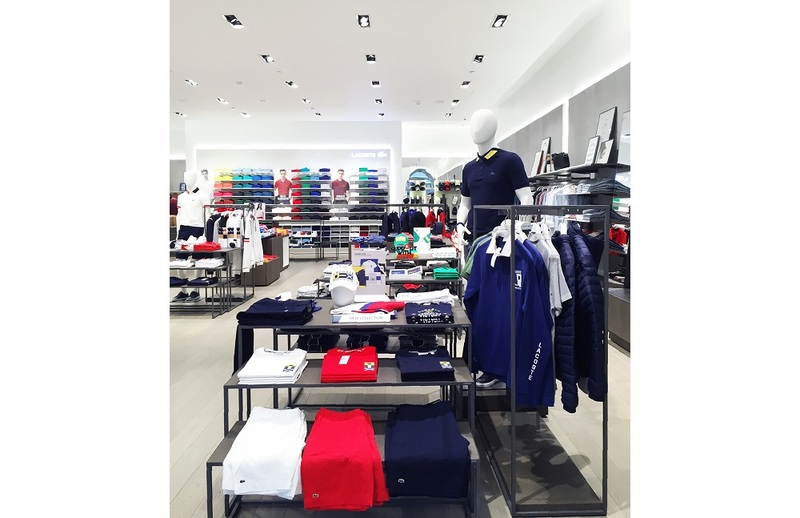 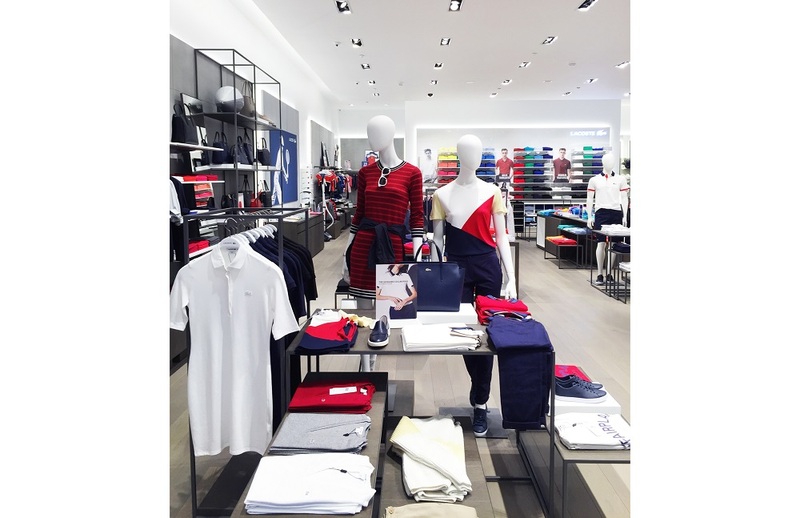 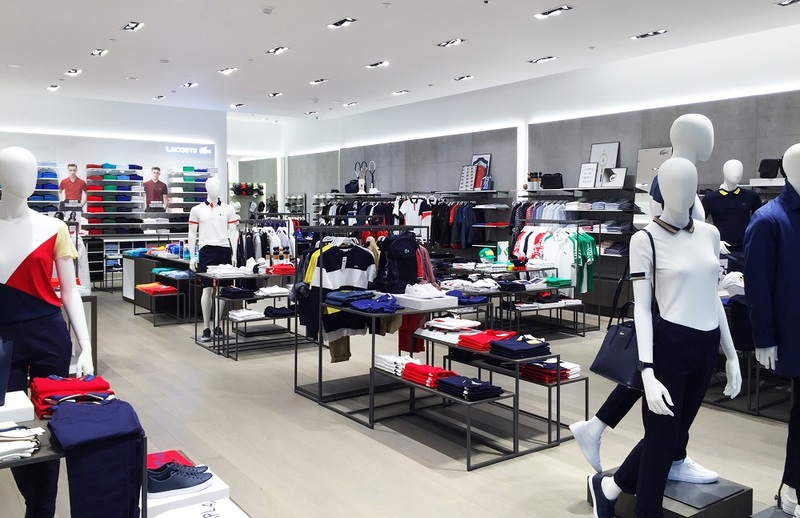 In addition to construction documents and administration, KPA has worked closely with Lacoste’s in-house design team to develop and finalize the interior design for over 40 locations and counting.